As of mid-January, Red Hen Baking is sourcing the vast majority of its wheat within 150 miles of its Middlesex bakery. The bakery turns out about 6,000 loaves of bread, pastries and other baked goods weekly, burning through about 7,000 pounds of flour. According to owner Randy George, Red Hen has been buying 20 percent of its grain from Vermont wheat farms for several years, but the rest came from a cooperative organic mill in western Kansas. By year's end, all that grain will come from a family-run farm and mill in Québec. A couple of years ago, George met the farmers of Les Fermes Longprés, located in Les Cèdres, Que., just west of Montréal in the St. Lawrence river plain. Recently, the 1,500-acre farm began milling enough locally grown, organic wheat to meet Red Hen's weekly flour demand. Moving that quantity of product across the border posed challenges, but after months of logistical planning, the flour started flowing earlier this month. 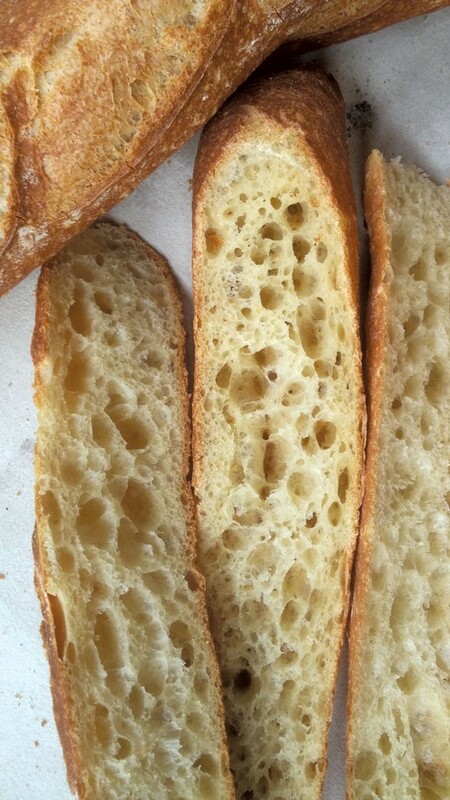 Now, Red Hen bakes most of its bread using a custom blend of the Québécois wheat. Says George, "The really astounding thing is that the quality is fabulous. It's as good as anything we've ever used." That's great news for him, as midwestern wheat has become increasingly unreliable in recent years. After last year's disastrous crop, most American bread-basket mills had to source organic grain from South America. Prices skyrocketed, and quality became a concern. "It was really quite sudden," George recalls. "We scrambled and got [flour] from wherever we could. King Arthur pulled the plug completely on their organic line [for a time]. They have a policy of using only American-grown wheat, and there just wasn't any organic wheat available. It was a real crisis." George says he'd always been interested in supporting local grain farmers but assumed the Midwest would remain his main source. "But all of the sudden, it turned around," he says. Les Fermes Longprés' Moulin des Cèdres started milling ample wheat at just the right moment. What's more, George says, owing to the farm's crop diversity and sophisticated field-rotation system, his new source "looks somewhat stable." The original print version of this article was headlined "Sweet Wheat"
Tags: Food News, wheat, bread, baking, local food, farming, flour, Red Hen Bakery & Café, Red Hen Baking Co.